Yangyang Mobile, Philippines based developers of The Letter, have recently launched a Kickstarter campaign to bring another visual novel to life, Love Esquire. Love Esquire looks to be quite the departure from their previous title. Rather than focusing on psychological horror, Love Esquire is a lighthearted and comedic take on a dating sim and dungeon crawling RPG. You are but a lonely squire trying to make your way through the world, and make your way…. with a hot waifu! 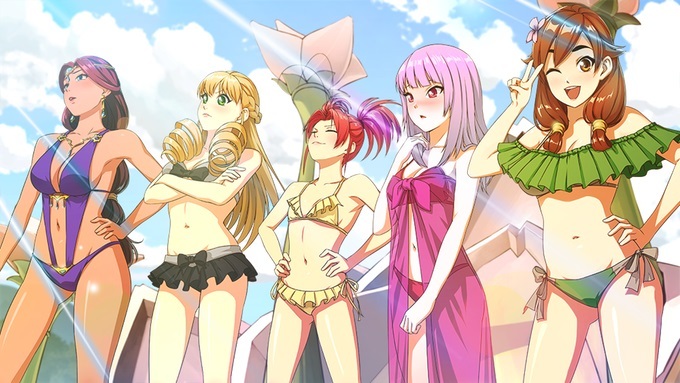 You’ll have your choice of five beautiful two-dimensional girls to choose from of varying personality and body type. You’ll be tasked with managing your day, increase your stats, going on quests, all in an attempting to woo the girl of your dreams. …There’s something about an upcoming war too, but that’s not important, right? As far as the dungeon crawling/RPG aspects of the game are concerned, as a squire you take a more passive approach to combat. More acting in support of your knight rather than participating directly. You can heal, boost morale, taunt enemies and so on. Finally, the game will of course feature hand drawn artwork, breathtaking backgrounds, CG’s, an original soundtrack, as well as feature a full English voice acting cast performed by veteran voice actors who have all worked in anime and other games. Supporter – $10: Access to the Discord channel, BackerKit, and Kickstarter updates. Digital Basic – $15: A digital copy of the game, a thank you card, and your name in the credits. Digital Waifu Thank You Art – $25: A piece of Thank You art featuring each of the games waifus, and one digital dakimakura of your choice. Digital Dakimakura – $40: The entire set of five digital dakimakuras. Digital Deluxe – $60: Digital artbook, soundtrack, an exclusive wallpaper, and postcards. Digital Exclusive – $80: Access to early builds of the game, a copy of the mobile game once it releases, access to an exclusive Kickstarter Discord, and the opportunity to be listed in the credits as a game tester with the option of leaving a special message in the credits. There are higher and more pricey tiers as well for those who really want to help Yangyang Mobile out. These include rewards that allow you to help design characters and NPC’s to be featured in the game, so be sure to check these out on their page. $30,000: At least 10 more CG’s. $40,000: Physically Dakimakura made available through BackerKit. $60,000: FULL English voice acting, including nameless NPCs. $70,000: Higher quality CG animations. 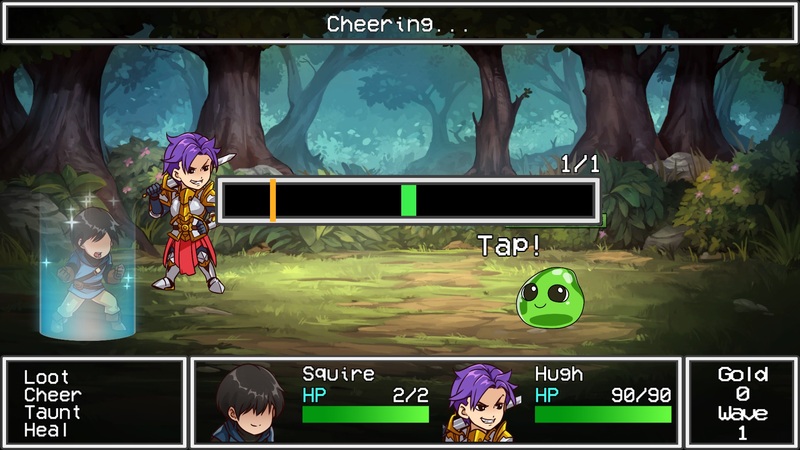 $90,000: Upgraded and further polished RPG campaign further refining gameplay, adding more enemies and levels. $120,000: A fully animated intro running about a minute. Love Esquire is currently sitting a nearly $9,000 of it’s $10,192 goal with 32 days remaining as of writing this article, so I don’t think this will have a problem getting funded, but if you looked over those stretch goals you know they still have quite a ways to go to making this game as great as it can be. If you’re into visual novels, dating sims, and/or RPGs you might want to consider backing. It should be noted: While Love Esquire will certainly feature suggestive content, nothing will be explicitly pornographic as this kind of content isn’t actually legal in their country. This is something to take into consideration however you may feel about such content.